We went to Joanns Fabric Store and asked for a third cut of the fabric of our choice. 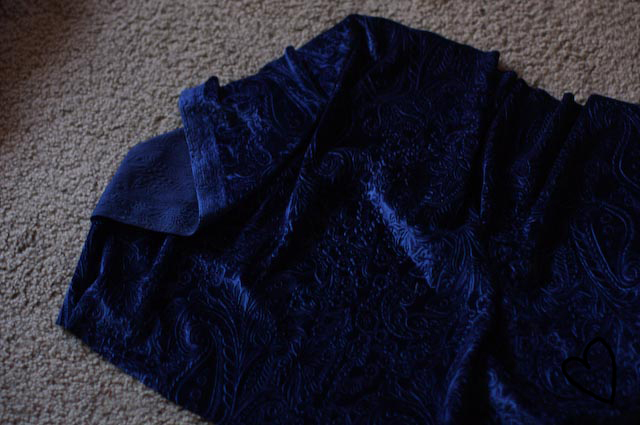 For this project I chose this pretty navy velvet that had some stretch to it. 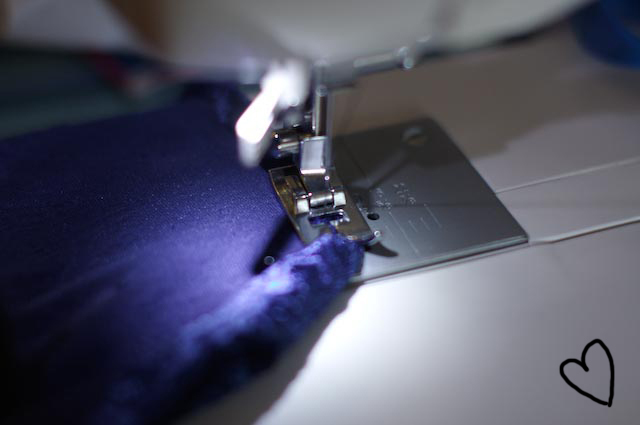 You will literally sew a hem down the long sides and them turn it inside out and join the two short ends to make a circle. Only three lines of sewing! 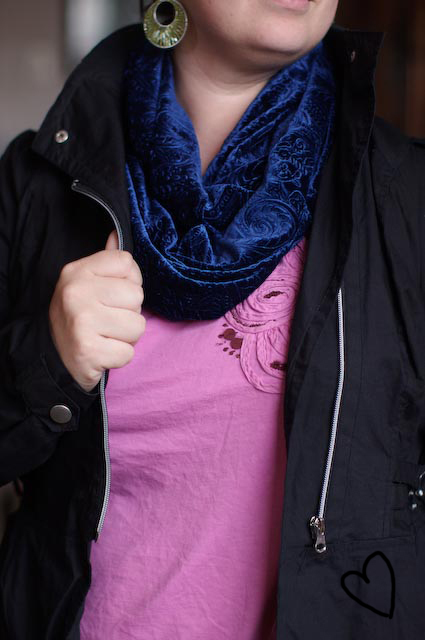 This entry was posted on January 11, 2013 by annambowman in DIY Projects, Frugal Living, Sewing and tagged beginner sewing projects, cheap fashion ideas, homemade Christmas presents, inexpensive gifts, infinity scarf.